 Our article examines the various features and specifications that make up the Panasonic ER GB370K electric beard and hair trimmer, advantages of using it, and commonly reported downsides according to verified customer reviews. This information will help you decide if the Panasonic ER GB370K trimmer is the right option for your needs. 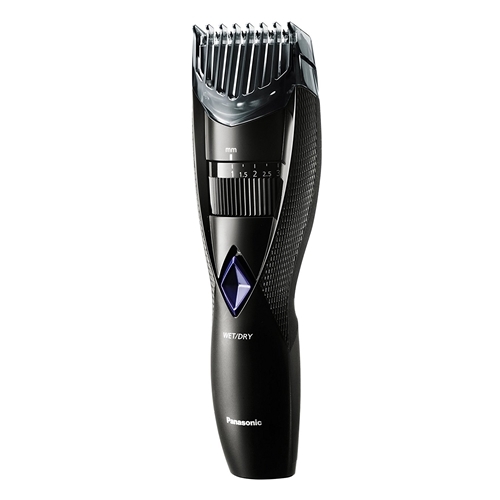 The Panasonic ER GB370K beard and hair trimmer features ultra-sharp stainless steel blades that can withstand regular use, angled at 45 degrees for higher precision. 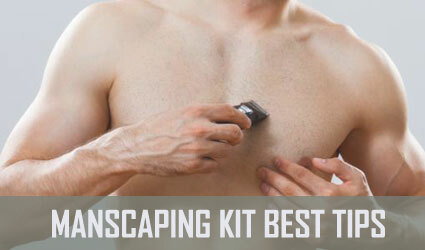 The manufacturer states this trimmer can easily cut through thick, long, or short hair regardless of its texture and can be used for wet and dry shaving and trimming, which is a huge plus. It is completely waterproof and easy to clean under warm water. 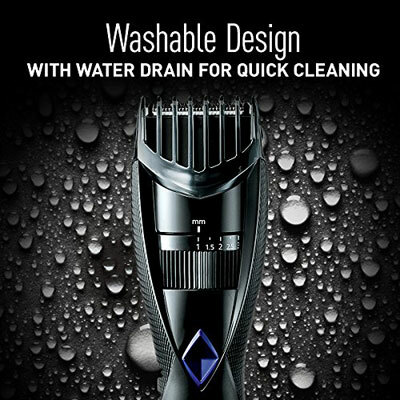 This Panasonic wet & dry beard and hair trimmer features 19 trim options in increments of 0.5 millimeters (less than one-fifth of an inch), between 1 and 10 millimeters. 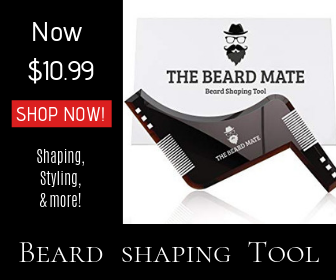 It also features a comb attachment that helps you trim your mustache and sideburns. The ER GB370K is lightweight, has an ergonomic design, and rubber insertions on its handle for extra grip and control. The Panasonic trimmer comes with a rechargeable battery that allows more than 40 minutes of cordless shaving and trimming. This is a great feature for those who take their time and pay attention to their beard, mustache, or sideburns. Suitable for sensitive skin. This electric shaver has hypoallergenic sharp blades that cut quickly and drastically reduce irritation. Travel-friendly. It has a rechargeable battery which lasts for several shaves before it drains. Ultra-fast cutting, no drag. This trimmer blazes through hairs and has no drag even when trimming thick hair. Built to last. This Panasonic ER GB370K beard and hair trimmer is designed with a state of the art technology that is similar to that used in making the sharp and durable Japanese swords. Easy and comfortable to use. This Panasonic trimmer has an ergonomic design that fits comfortably in your hands. Its non-slip rubber material gives you a soft touch, and it gives you more control making shaving an enjoyable task. Very quiet. This Panasonic head and hair trimmer is the most silent when used on wet hair, but has low noise levels nonetheless. Even the best shavers in the market will not lack a fault. In this section, we have highlighted the common downsides of using this Panasonic ER GB370K electric shaver based on user opinions. It lacks a battery level indicator. This might inconvenience you in case you are using the shaver away from a power supply. The charging stand does not hold the shaver firmly. Customers report the trimmer can easily fall off the stand, which leads to difficulties when charging this appliance if the outlet is installed too high up. The blades need replacing after a while. Even though not standard behavior for electric trimmers, the blades wear out after a time of use and need to be replaced. The adjust dial is too close to the thumb when holding the trimmer. Therefore, you need to be extra careful not to accidentally change trim settings while using it. This trimmer cannot be used when charging. This can be a serious drawback for those with little time on their hands. Note: if you want a highly portable wet & dry shaver that won’t let you down, check out our review of the Panasonic ES3831K Electric Travel Shaver! And if you want a top-of-the-line shaver, make sure you also check out our Panasonic ES LV95 review, too! The standard package of the Panasonic ER GB370K electric beard and hair trimmer contains the Panasonic ER-GB370K electric shaver, an AC adapter that lets you power your shaver, a storage stand, and a beard & hair clipper comb attachment. 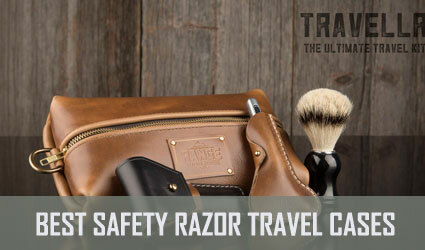 The package also contains clipper oil used to lubricate the razors and a cleaning brush for scrubbing hair and any shaving products stuck between the blades. This Panasonic ER GB370K electric shaver had a rating of 3.7 at the moment of writing, with most users recommending the product. 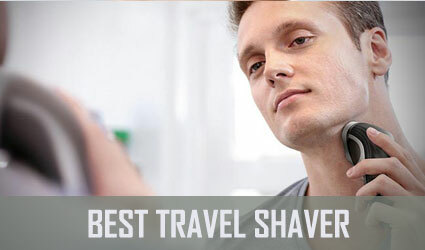 Only a few users say that the shaver has some faults. For instance, one of the users says that this shaver operates silently, it has sharp blades that give you a close shave after a few passes, and it is well made. Mr. Smith defines this electric shaver as a fantastic razor with ultra-sharp blades that give a quick shave. They experienced no drag and are extremely happy with their purchase. Despite the fact that most users recommend this Panasonic ER GB370K electric shaver, some have had negative experiences with it. One of the users says that the wall mounted charger is poorly designed and it’s too heavy to be mounted on a 3-outlet adapter. The unhappy Amazon Customer provided photographic evidence of the design flaw and also noted the plug does not rotate, forcing the trimmer to charge horizontally with some outlets. Based on the assessment above, it’s clear that the Panasonic ER GB370K electric beard and hair trimmer is a reliable shaver for men with sensitive skin. It has ultra-sharp steel blades that cut effortlessly through long and short hair but tend to become dull after a while. It can be used to shave and trim the hair on face, head, or body. If you used this trimmer, let us know your opinions and questions in the comments section below.